Was recently on vacation in Australia and New Zealand and wasn’t able to post anything while there, since I was without a computer. So finally getting to things! So, there is hummus, baba ganoosh and then beetroot. Nearly everywhere you turned in Australia you saw beets. Can’t go wrong, I kind of like them. The interesting twist on them was the beetroot dip. It’s in the same type of container as hummus and you can find it in the same section of the grocery store. The best one I had was the Beetroot & Fresh Dill Dip. The ingredients: beetroot (80%), sunflower oil, sugar, onion, dill (5%), white vinegar, balsamic vinegar, pomegranate molasses, sweet paprika, salt, veg. gum. And don’t be alarmed at the best before date, their format is day/month/year. I’m totally going to try to make this. Though I think when I make it I’ll use olive oil, have to test some garlic, don’t think I need the veg gum, and might skip the molasses, too. 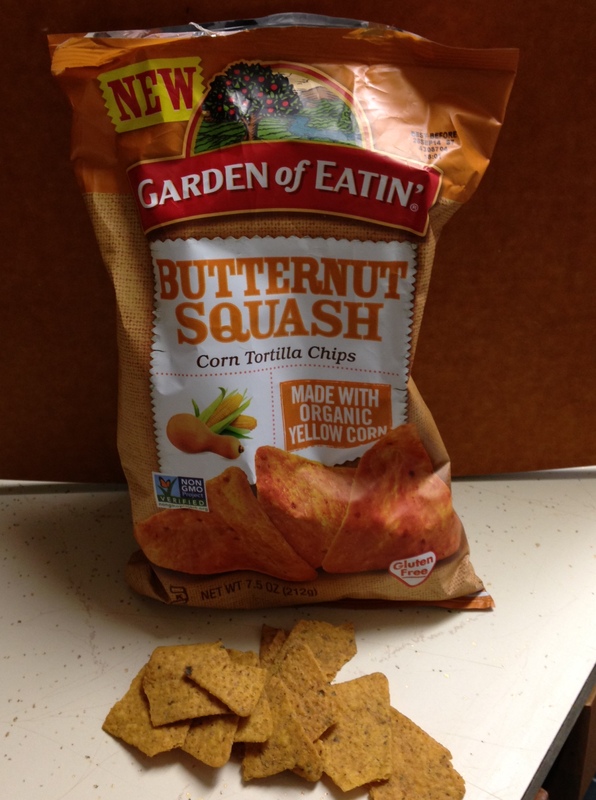 The other good dip I came across was Spicy Mango, Lime & Cashew. 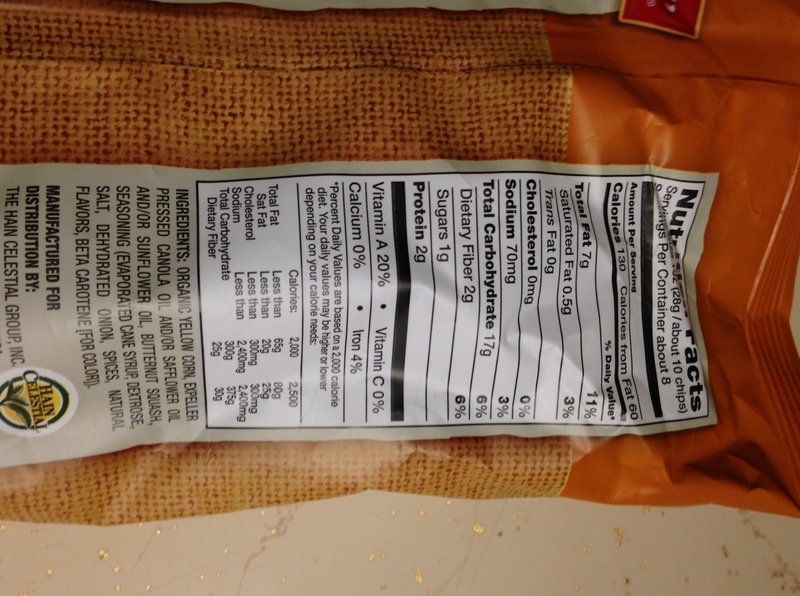 The ingredients: mango (33%), cashews (17%), dried mango (16%), capsicum, sugar, salt, lime juice (1%), spices, food acid, preservative, natural flavor. Don’t know I am I going to test this one, though you never know. Something had me craving some gumbo the other day. What, not sure. I flipped through the great reference I have, The Little Gumbo Book by Gwen McKee and found the recipe I was looking for. 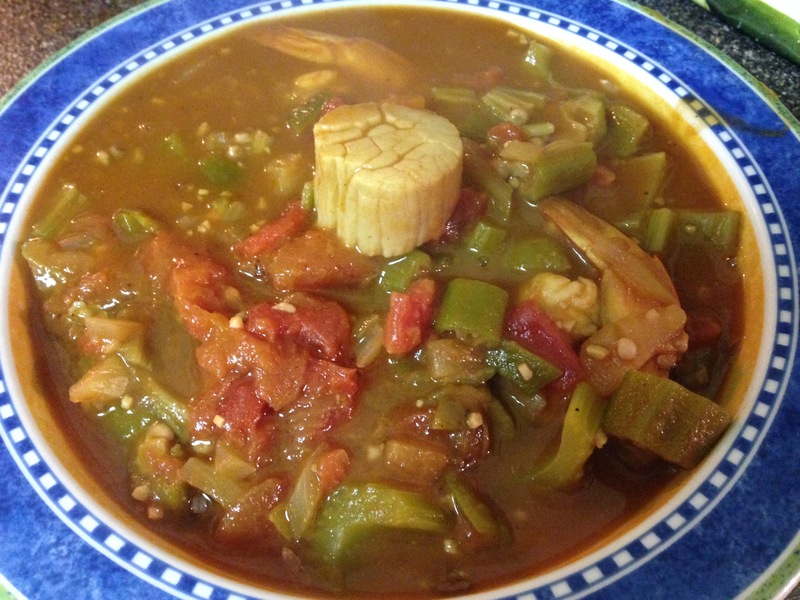 It’s a Seafood Oven Okra Gumbo that uses a Dry Roux. The reason I love it is that you can throw it in the oven for a couple hours AND the (dry) roux it uses has no butter or oil. 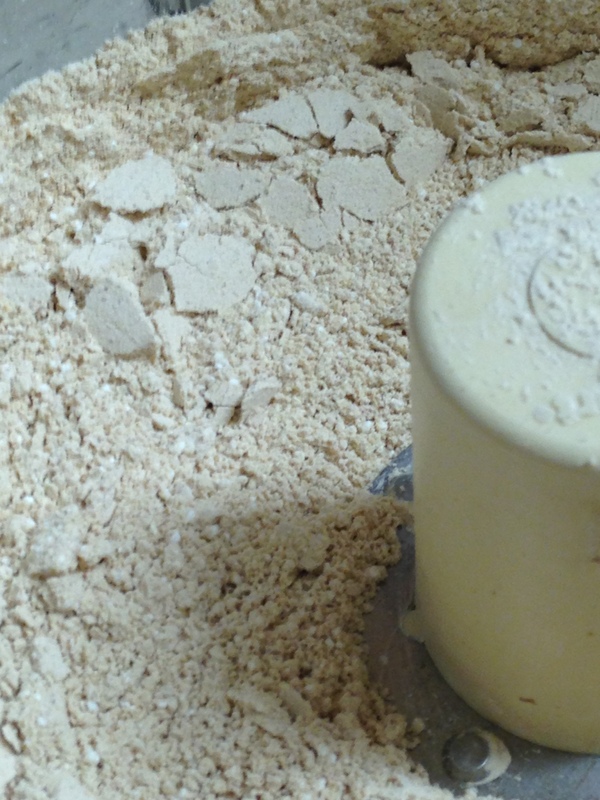 It’s just flour. Place 1-2 cups flour in an iron skillet on medium heat and stir constantly with a wooden spoon until the flour is the color of the outside of pecans (about 15 minutes). Cool and store in a jar. 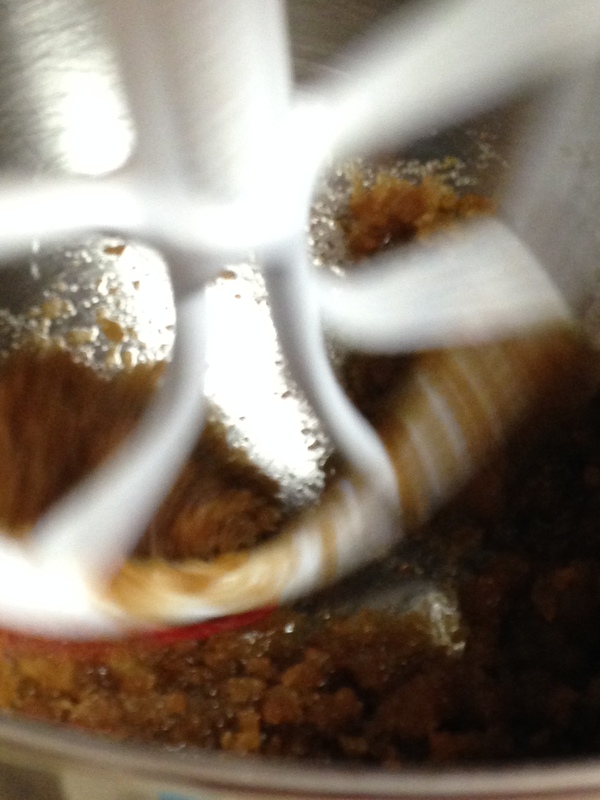 To use: Mix equal parts of dry roux with water or oil. Combine all ingredients in large heavy pot. Cover and cook 2 hours in 300-degree oven, stirring twice during cooking. Uncover and cook another 20 minutes. *I didn’t feel like it needed to cook that long. Makes enough for 2 pots of gumbo. 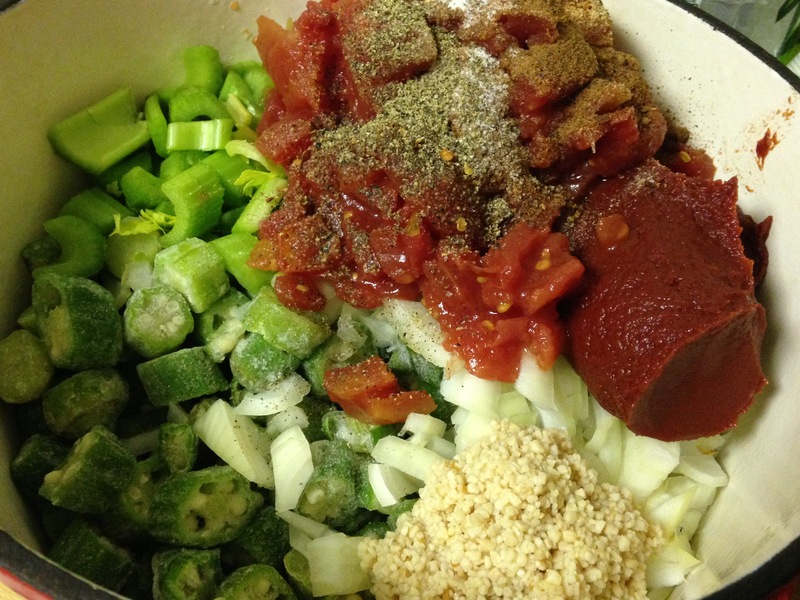 This can be halved or doubled; freeze portions for later quick-fixin gumbo! 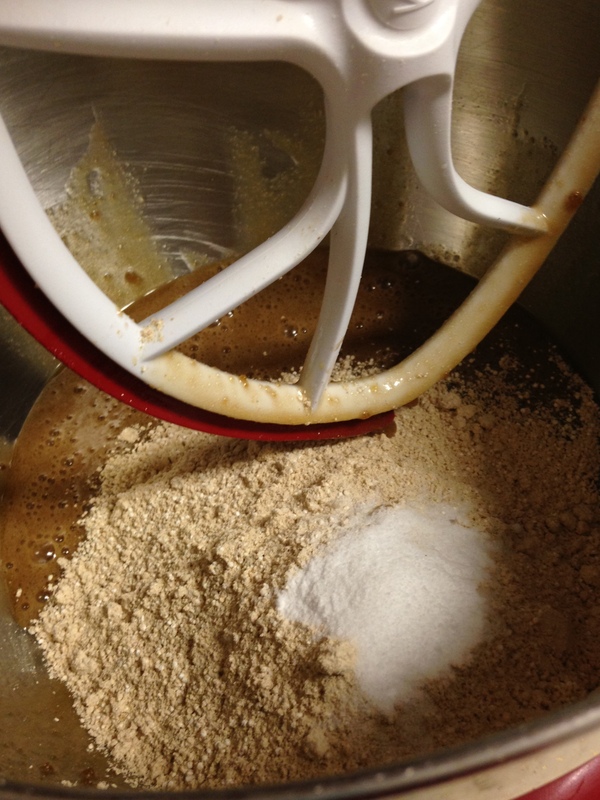 Mix roux in 1/2 cold water. 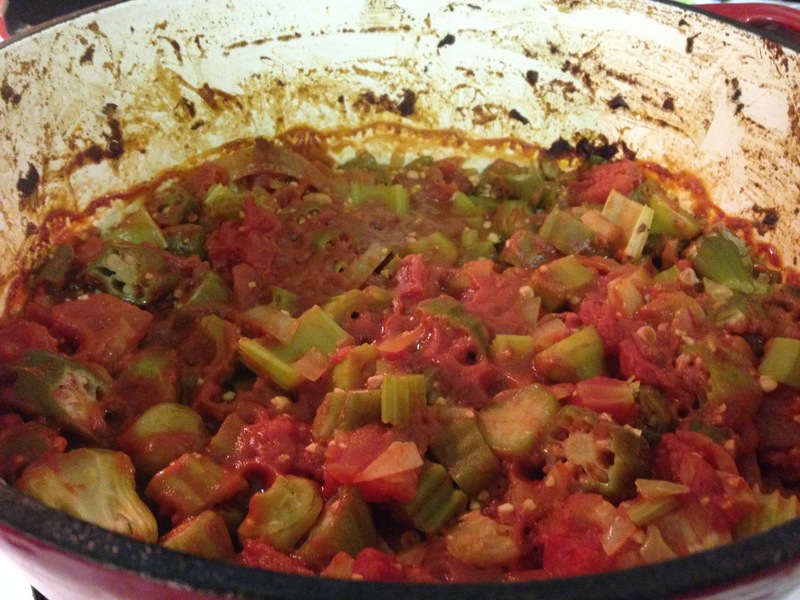 Stir into Oven Okra. Add remaining water. Bring to a boil, then add seafood; season. Cook 30 minutes. Served over hot rice. Serves 8-10. 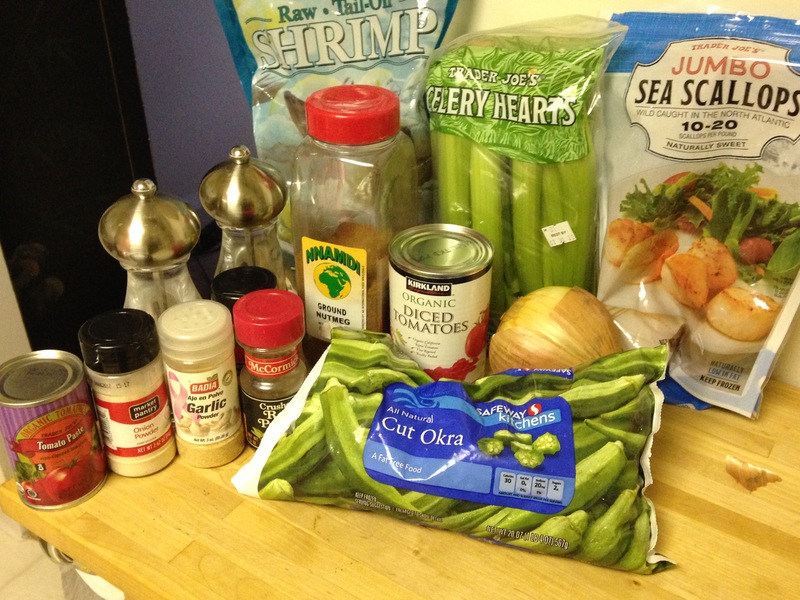 NOTE: Add chicken stock or most any poultry, seafood or meat to Oven Okra to create your own special gumbo concoction. It was just what I was looking for. So good, lots of flavors. Be warned…don’t taste it right from the pot or you can easily burn your tongue. And, be ready for lots of leftovers. This would be great to serve at a Super Bowl party. Enjoy! 2 tbsp Accent (optional ) — what is this? Mix all in large bowl and store for daily use. Was at a friend’s place a couple weeks ago and she made this mouth-watering salad. Decided to make it as part of Christmas Eve dinner last night. It’s definitely one that you have to take seconds, or thirds of. I think it’s from the dressing. Bring the 2 cups of water and salt to a boil and add the bulgur. 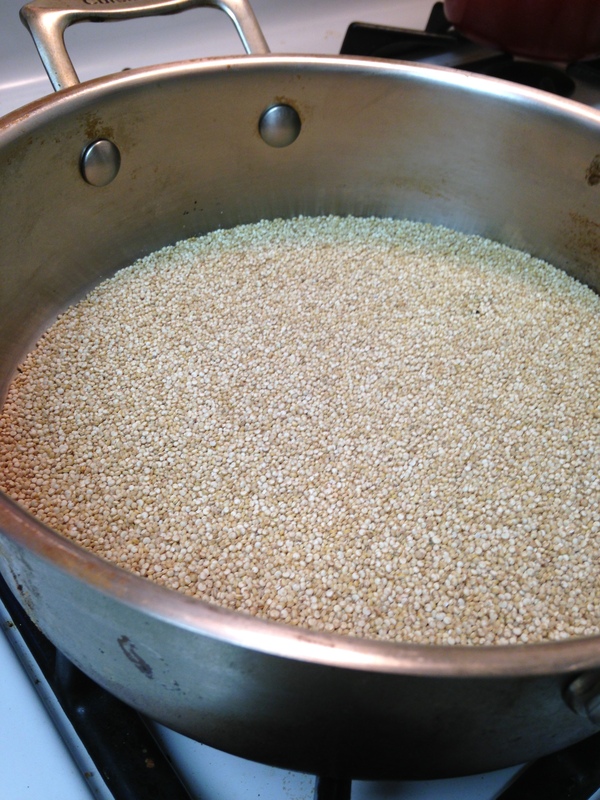 Turn down to a simmer, cover and let cook for 12-15 minutes until water is absorbed and bulgur is soft but still has a bite to it. Toss all the salad ingredients in a big bowl until combined. In a small bowl, combine the vinaigrette ingredients and whisk until smooth. Pour half of the dressing over salad and stir to coat the salad in dressing. Taste and add more dressing as needed. Good warm but it’s best after it sits in the fridge for an hour or two. So, so good. And, it’s dairy free and gluten free! You can even play with all the ingredients that go in the salad. Give it the taste that you want. I could not stop nibbling on the stuff. And the taste goes on. Love salad, love Caesar. There was apparently a recipe from the 70s or 80s in The (Washington) Post that had no dairy in it for the mouth watering, delicious Caesar Salad. It is great that I can make this recipe and enjoy it! In a jar with tight lid (tupperware works wonders too), combine olive oil, garlic, mustard, Worcestershire sauce, anchovies, capers, anchovy oil, and lemon juice. Screw lid tightly on jar (or snap on lid) and shake vigorously. Taste and correct seasoning to taste. Refrigerate until ready to use. When ready to serve, tear romaine and dress salad with as much dressing as needed. Season with additional S&P to taste. I make birthday cookies for my friends and for a recent one I emailed her with an idea because of dietary concerns. I know she’s big into quinoa and I looked for (cookie) recipes with quinoa in them. She was kind enough to send me a link to the cookie (recipe) she would like for her birthday goodies. 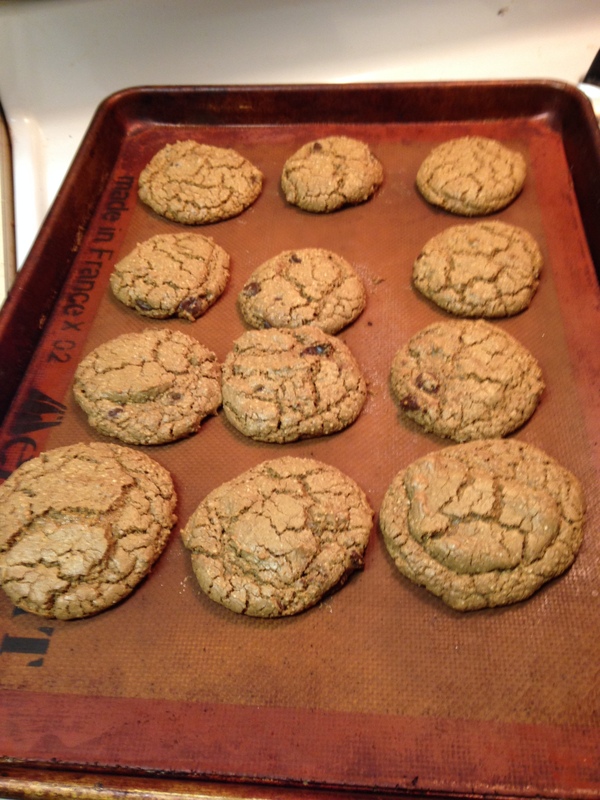 They where basically simple chocolate chip cookies, but with a coconut kick. 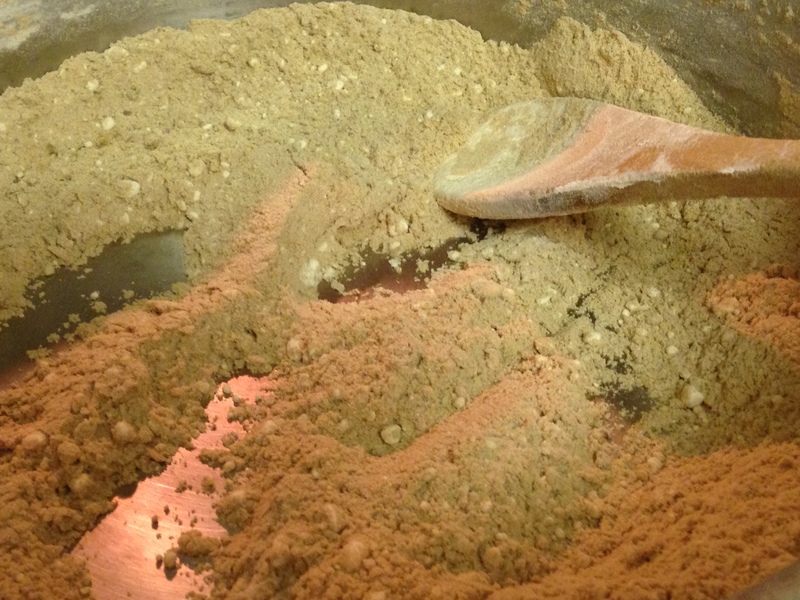 As I investigated the recipe, it of course called for quinoa flour. I went to Whole Foods and they had it (I was just talking to them about it, didn’t actually see it but could only fathom the price — just googled it $10-$13). But then I thought, there has to be a way to make this stuff. Of course! This makes it much more fun, and beyond less expensive. You pay $3-$4 for the quinoa and you’re set. So, found a great recipe for it on Homemadeadventure. You just take 2 cups of quinoa and put it in a skillet over medium heat. Toast it for about 5 minutes, stirring occasionally. 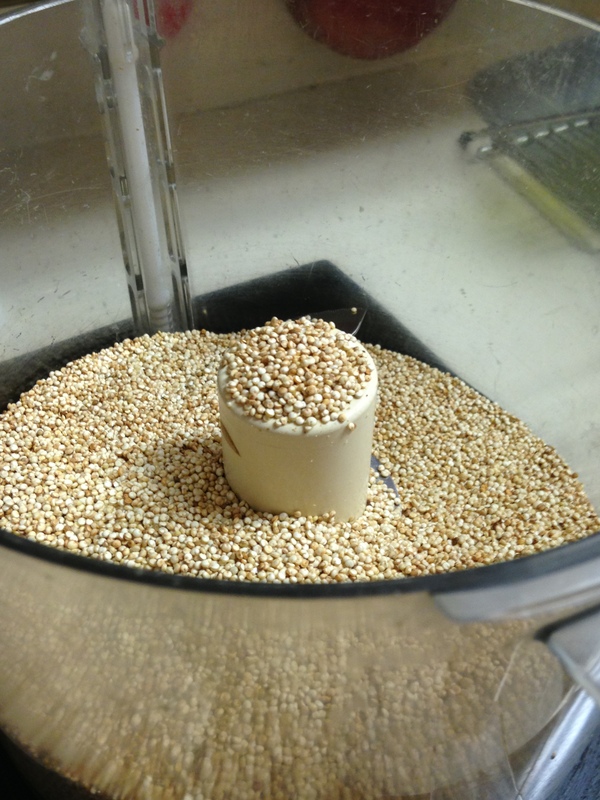 The quinoa will start to make a light popping sound, kind of like popcorn, when the toasting starts. You want this sound for about a minute or two. Then it gets nice and brown. Let it cool then put it in a food processor. Blend until fine. I did mine for probably about 8-10 minutes. 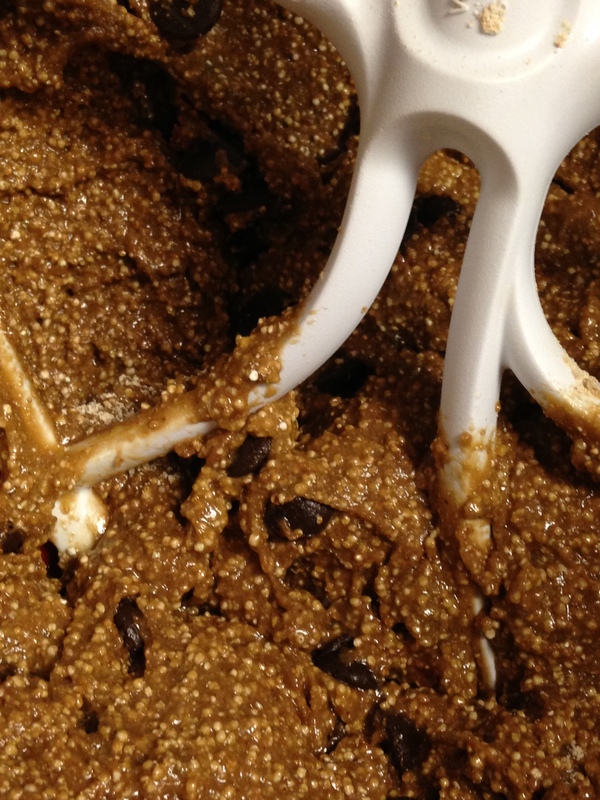 Preheat oven to 350 degrees F. In large bowl whisk together quinoa flour, baking soda, and salt; set aside. 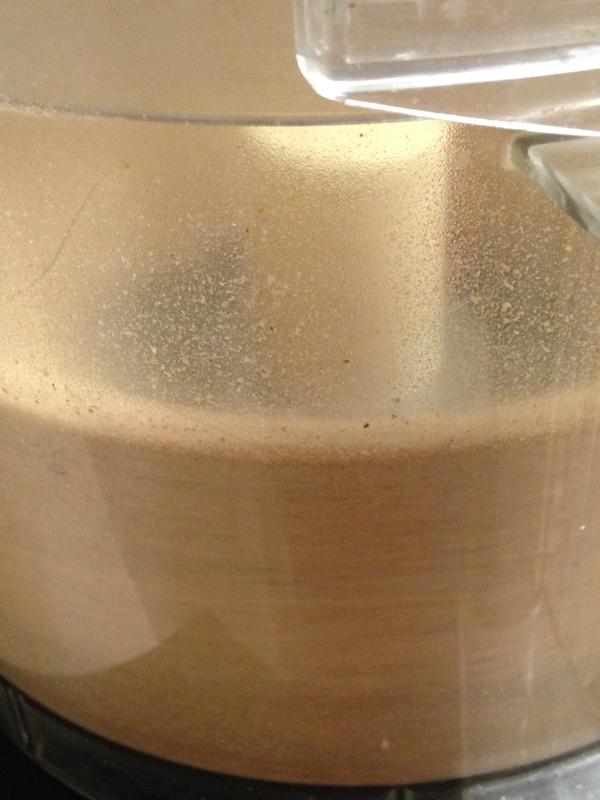 (I always tend to just put this on top of the wet mixture later). 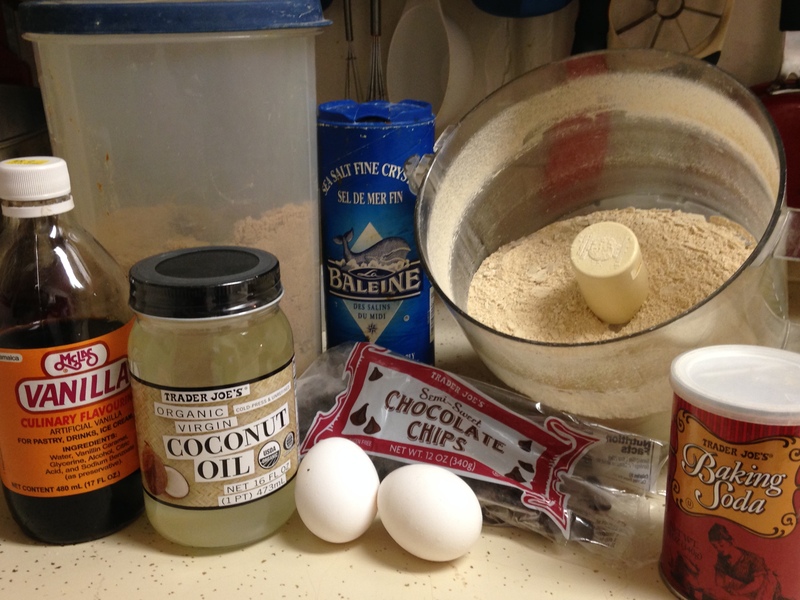 In bowl of an electric mixer beat together melted coconut oil and brown sugar until smooth. Add in egg, egg yolk, and vanilla; beat again for 2 minutes or until smooth and creamy. Add in flour; and mix on low speed until just combined. Slowly add in chocolate chips. 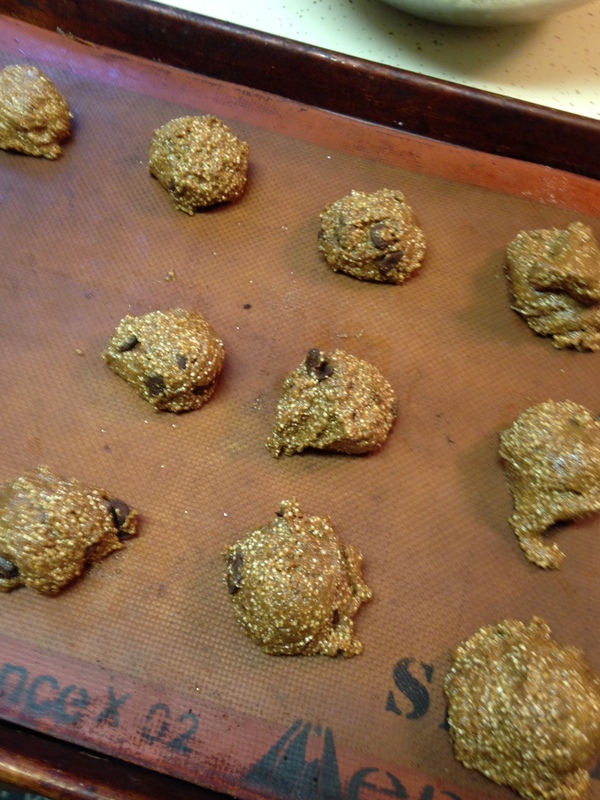 Roll dough into 2″ balls and place on cookie sheet leaving 2″ apart. Love the Silpat mat! It didn’t say whether you would spray the cookie sheet or not so glad I have it. Bake 8-11 minutes or until edges just being to turn a golden brown. 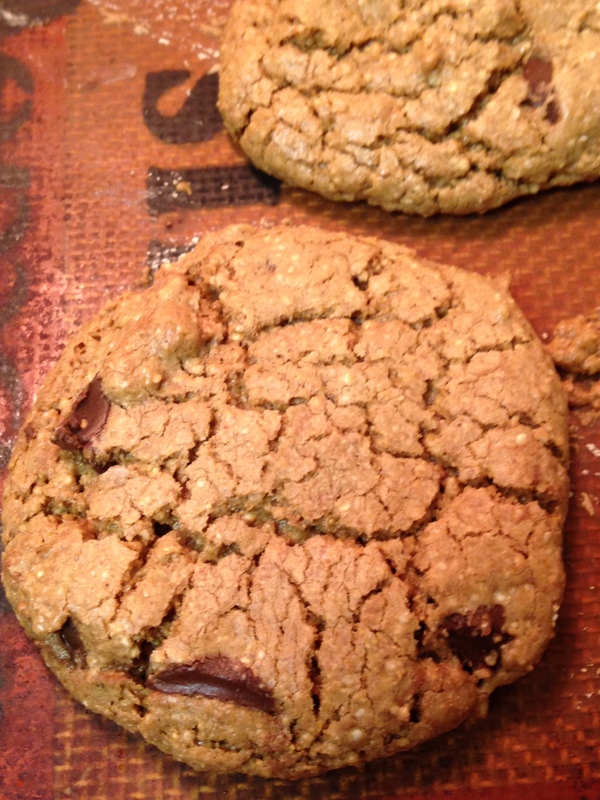 If you noticed that your cookies are baking flat, then you may want to chill your dough for 10-20 minutes. Remove from oven and let cool at least 5 minutes on baking sheet. The cookies will need to set and will be very fragile at first so you have to be a little patient for the edges to harden a bit before removing them. Once the edges and bottom harden a bit, transfer to wire rack to finish cooling. Makes 18-20 cookies. I got about 2 dozen out of this recipe! My friend loved the cookies and not sure how many are left. Very coconut-y and the great chocolate in there. …and SO good! Last weekend I caught up with a friend I hadn’t seen for 14 years and we both love to cook, so we had to make some good stuff. Well, I sifted through tons of recipes that I’d been wanting to make and decided on one from a recent issue of Health Magazine. It was actually pretty easy to make, but packed with flavor! So, the main dish of the night was Zucchini ‘Pasta’ with Shrimp. 2 cups fresh corn kernels — I heard the freezer calling! 1 1/2 cups fresh peas — and that freezer called right back! 1/2 cup dry white wine — some people reading this blog are laughing at dry white wine. You just add water, right? I just went with the bottle that was open in the fridge, as I normally do. 1. Using a vegetable peeler, shave sides of zucchini to create ribbons (discard peel), turning zucchini once you hit seedy core. 2. In a deep, heavy 12-inch skillet, warm oil over medium-high heat. Season shrimp with salt and pepper and cook, turning often, until just pink and cooked through, about 3 minutes. Transfer to a bowl. 3. Add corn and peas to skillet and cook, stirring, for 1 minute. Cook, tossing with tongs, until zucchini is crisp-tender, 5 to 6 minutes. Add butter (or oil) and continue tossing until all vegetables are tender, about 1 minute. Add shrimp and cook, stirring, until shrimp are warmed through, about 1 minute more. Remove skillet from heat. Stir in lemon juice and basil, season with salt and pepper and serve. Prior to this we enjoyed some great figs with goat cheese, prosciutto and honey. The food was all enjoyed with some of my favorite Oregon wines — Sokol Blosser (Pinot Noir) Rose and Penner Ash Pinot Noir. Such a rough night! Arugula, Green Beans and Oranges…oh my! Quick, easy, and tasty…that’s what I want, not only during the summer, but a lot of the time. Cooking Light had a bunch of great, quick & simple recipes in one of their recent issues and I have been trying several of them. They are good! One that I made recently had my favorite lettuce — ARUGULA! Then, green beans and oranges. I also threw some grapefruit in there. The official name of the recipe is Green Bean, Arugula, and Clementine Toss. Steam haricot verts in the microwave according to package directions; halve beans crosswise. Or, steam them on the stove. I also forgot to cut them afterwards. Cool 5 minutes; toss with arugula, clementine segments, olive oil, vinegar, and salt. So good and perfect for summer weather! And, gluten and dairy free. Summer is finally here (temperature-wise) which means quick, refreshing salads are what the menu calls for. Found a great one in a recent edition of Cooking Light that was super simple and delicious! It was Cucumber, (Black) Olive and Mint Salad. I put Black in parentheses because the recipe calls for Greek olives which are a totally different taste from black olives! The prep is real tough. Slice the cuke. Then combine cucumber, olives, mint, lemon juice, olive oil, and pepper. It tasted even better after it sat for a bit. It was served with pork tenderloin and quinoa. Would also be very nice for brunch paired with smoked salmon/lox. Bring water to a boil in a medium pot over medium-high heat. 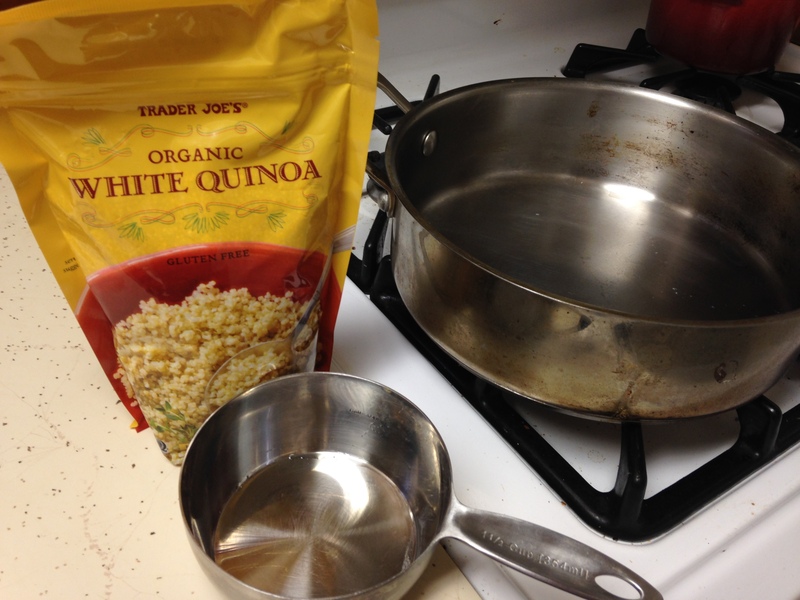 Stir in quinoa and 1/2 teaspoon salt, and return to a boil. Reduce heat to low, cover, and simmer 15 minutes. 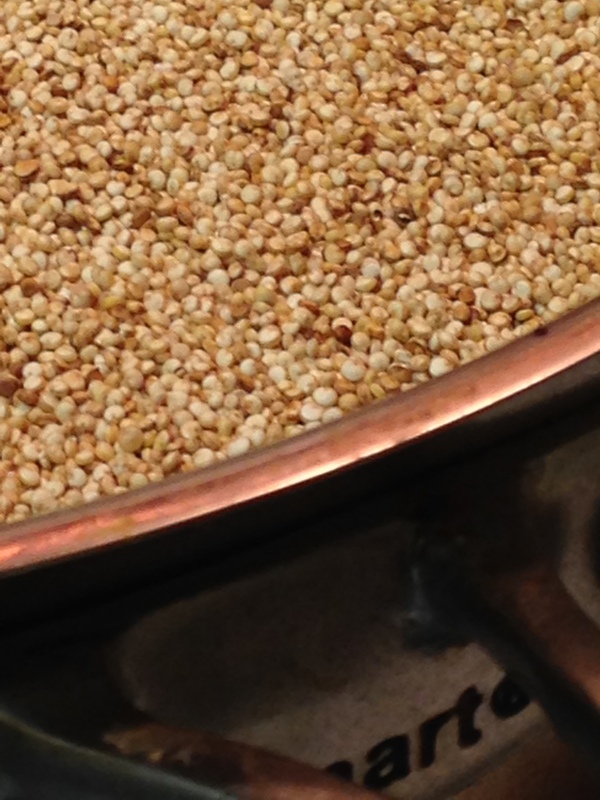 Uncover, raise heat to high, and cook until water evaporates and quinoa is dry and tender, about 5 minutes (stir frequently to prevent scorching). *I just cooked it like regular quinoa. Heat 1 1/2 tablespoons oil in a large nonstick skillet over medium-high heat. Add half the cabbage and 1/2 teaspoon salt, and cook, stirring occasionally, until tender and golden brown in places, about 8 minutes. Transfer to a bowl. Repeat with 1 1/2 tablespoons oil, 1/2 teaspoon salt, and remaining cabbage. Add remaining tablespoon oil to skillet. Return sauteed cabbage to skillet, add quinoa, and raise heat to high. 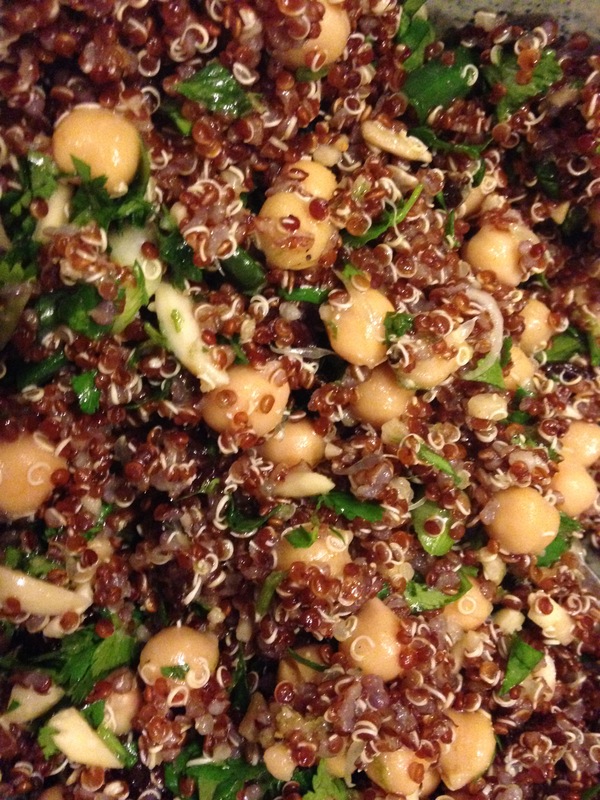 Cook, stirring occasionally, until quinoa is toasted and crisp, about 8 minutes. Remove from heat. 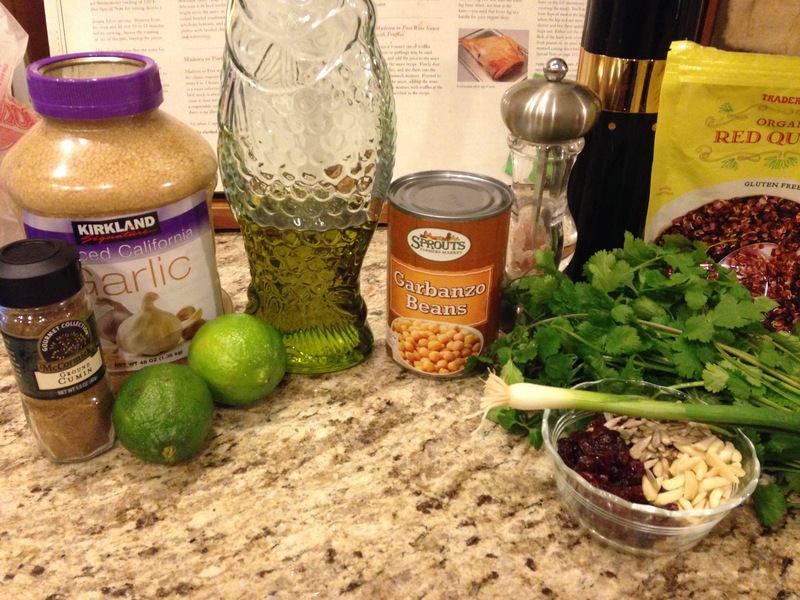 Add chickpeas, olives, and lemon zest and juice, and toss to combine. Season with salt and pepper. Stir in dill, and serve with yogurt. The salad was amazing! And, it’s dairy-free and gluten free! We enjoyed it with two whites (one was opened earlier in the night). Chalk Hill 2011 Sauvignon Blanc and Chateau St. Jean 2010 Chardonnay. And for dessert we had some of the wonderful Ciao Bella Blackberry Cabernet Sorbet. That stuff is deadly!